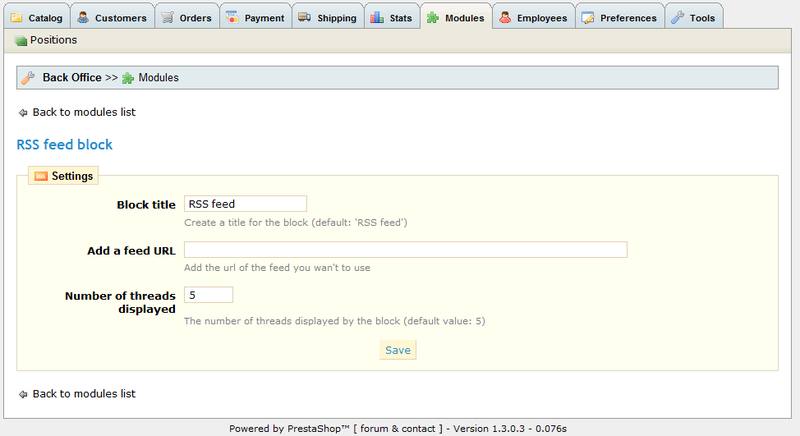 At PrestaShop, you can setup a RSS feed block to enrich the content of your web site. 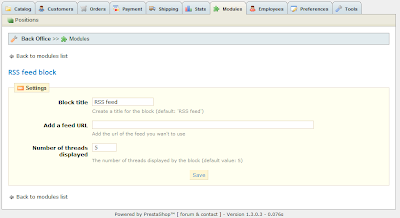 Before you can setup RSS feed block, you must get the URL of RSS feed that you want to add to your website. Here is the instructions on how to do this. 3. 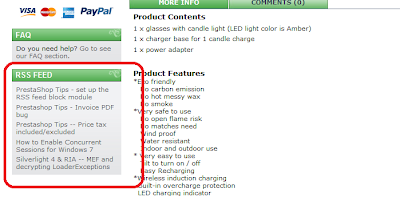 Find the "RSS feed block v1.0" (version may different) from the list and click "Install"
4. One the module is installed, the "configure" link will appear beside the module, click "configure", following screen will show up.